Most of us are aware of the site in Tunisia that was the complex of buildings that served as the set for Tatooine. Well, apparently it is getting harder to make a pilgrimage to the site. This is because of recent developments regarding the terrorist group ISIS. 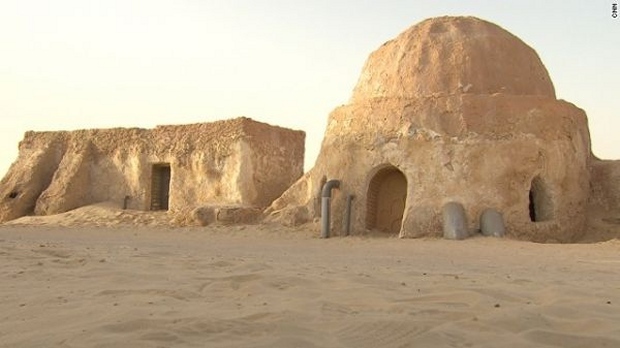 Government officials caution tourists against visiting a number of areas in Tunisia, including some in the neighborhood of the Star Wars sets. It looks like the Tunisian city of Tataouine has become a sort of hub for terrorists that want to enter Libya to join ISIS. The city is about 60 miles from the Libyan border. The United States Embassy is warning travelers to stay away from border areas. The British government cautions against “all but essential travel” to a large area that includes Tataouine and other sites that are Star Wars film locations. It is best to wait until after the unrest has died down if you plan on going to these locations. Cool as it is, it isn’t worth dying over.